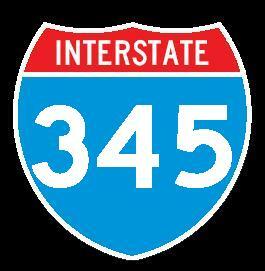 Interstate 45 is a north-south highway in Eastern Texas. 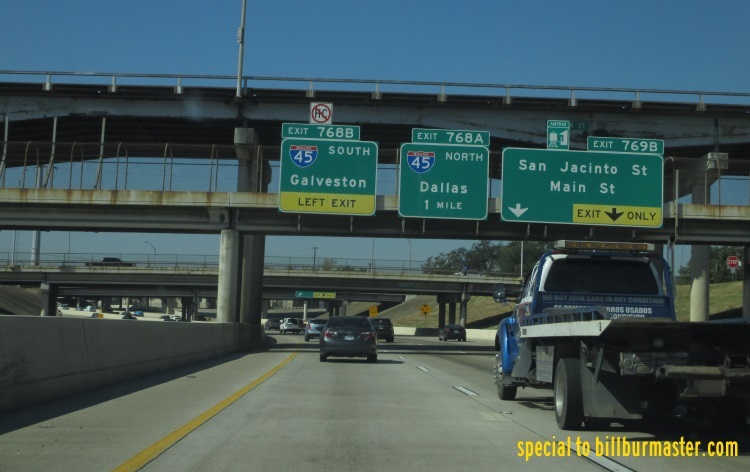 This highway runs from Galveston to Dallas, via, Texas City, and Houston. 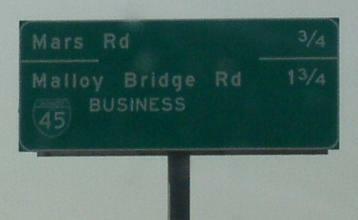 This highway has several business loop and one un-signed spur. 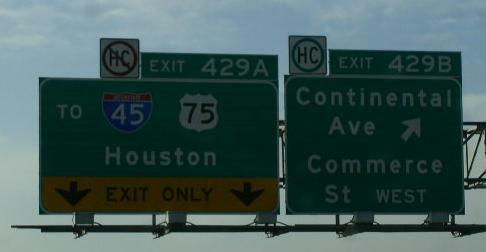 While in Texas, I-45 is multi-plexed. ...U.S. Rt. 90, at Houston. ...U.S. Rt. 190 from Huntsville to Madisonville. ...U.S. Rt. 287, from Corscana to Ennis. 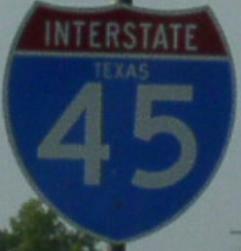 Interstate 45 crosses the following interstates in Texas. 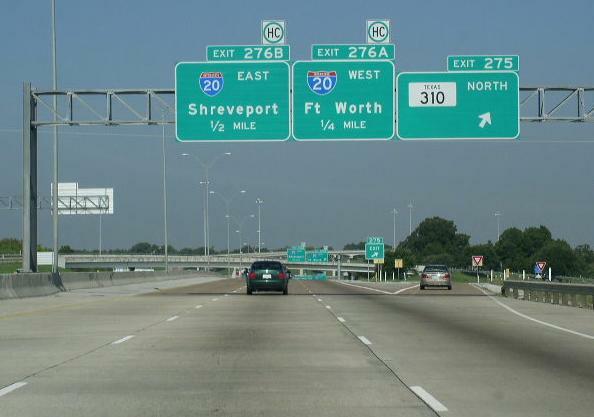 NB I-45 at TX St Rt 310 near I-20. 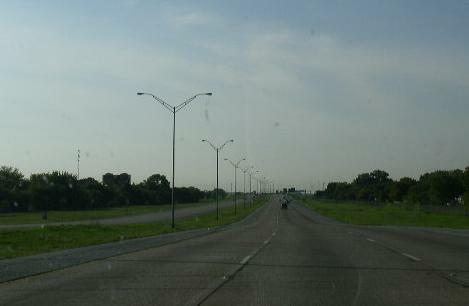 Branches of I-45 in Texas. 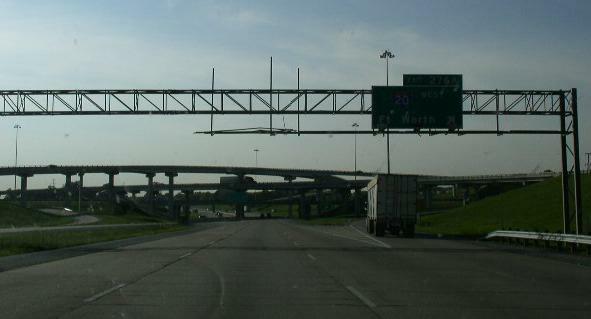 BGS on SB I-35E/U.S. Rt. 77 in Dallas. 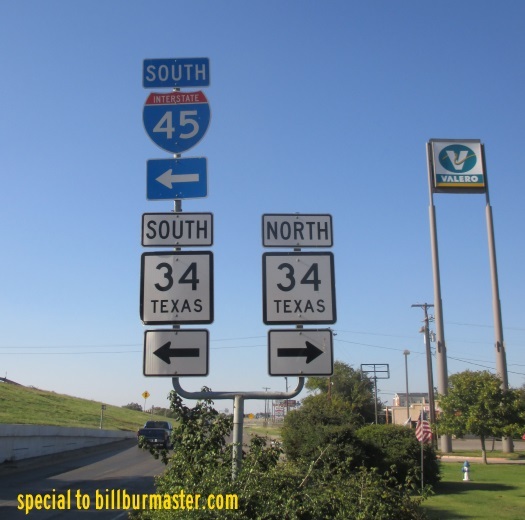 Guide marker on EB TX St SP 366 in Dallas. 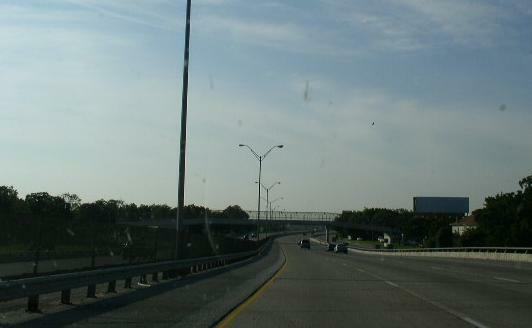 SB I-45 near U.S. Rt. 175 in Dallas. 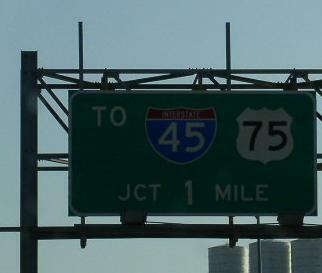 SB I-45 near TX St LP 12 in Dallas. 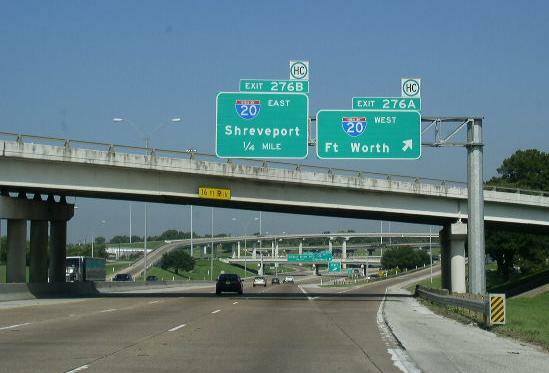 SB I-45 at the I-20 stack interchange. NB I-45 near TX St Rt 310/I-20. 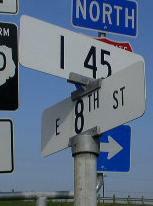 stret sign on a service road at TX FM 660 in Ferris. 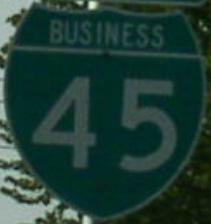 Junction marker on SB BUSN Loop I-45 near Ferris. 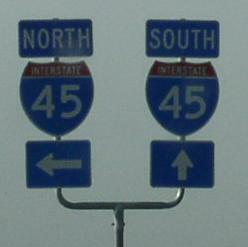 Guide markers on SB BUSN Loop I-45. 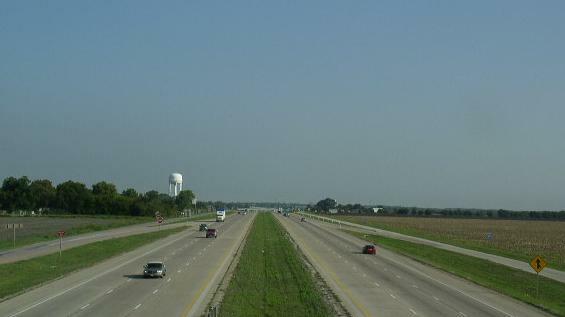 Looking north along I-45 from the TX St LP 561 overpass. 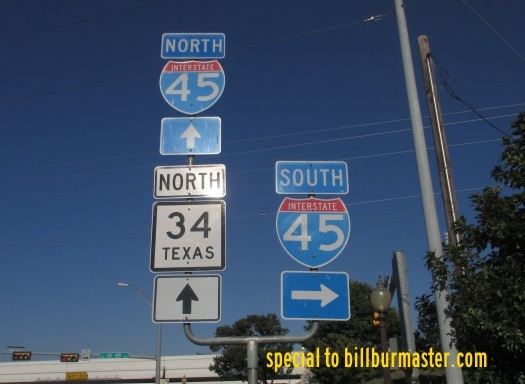 A guide marker along TX St Rt 34.